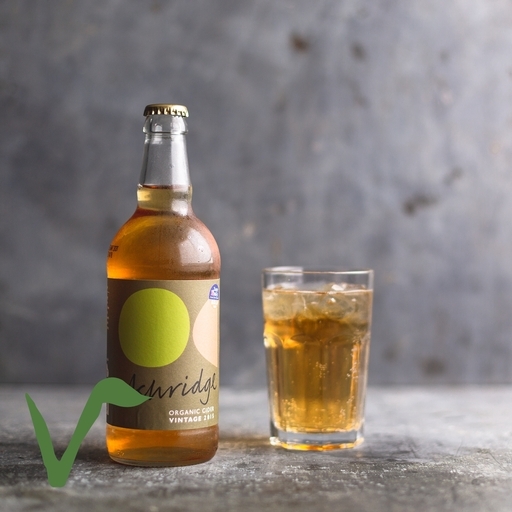 Ashridge organic vintage cider is made from up to 15 varieties of bitter-sweet and bitter-sharp cider apples from Devon orchards. Coupled with a long, slow fermentation and using natural wild yeasts, this gives a fresh sparkling cider with a great depth of flavour. Good with most food, from spicy curry to fish and chips. Get 5% off when you buy a case of 12 here. Based at Barkingdon Farm, Staverton, Totnes, the old established orchards have been organically certified by the soil association since 2009 and border onto the Riverford fields in Devon. Containing a large variety of cider apples, many traditional Devon varieties, the management of the orchards is an important part of the cider making process. The trees are regularly pruned and a few replanted every year to ensure a consistent orchard. A flock of sheep graze and control the grass around the trees.